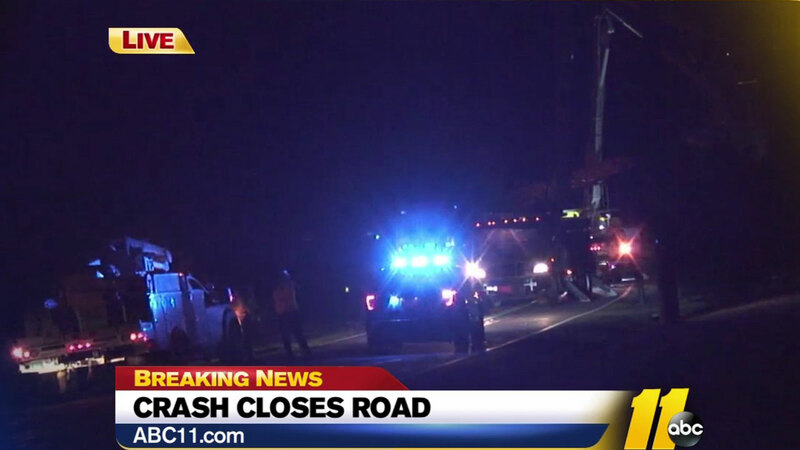 RALEIGH, North Carolina (WTVD) -- A crash near I-540 and Louisburg Road in Raleigh left 200 homes in the dark for hours early Tuesday morning. It happened just before midnight along Fox Road and Ives Court when a vehicle crashed into a power pole. Details surrounding the crash have not been released. Power crews worked for hours to repair the pole and power was restored around 6:15 a.m.
Fox Road was also reopened around that time.